It’s off to Disney We Go!! I happened on a surprise in my mailbox today! We have received our Magical Express vouchers and luggage tags! Hooray! It makes it seem like Disney is not so far off, even though it is still 83 days, 2 hours, and 58 minutes away! I don’t remember receiving our Magical Express so early in the past, but maybe we hadn’t booked our flights this early in previous years. What I really can’t wait for is that fabulous envelope with our reservation voucher and luggage tags! I hear they are new this year! When I provided Disney with our flight numbers while setting up Magical Express, I requested that they send out 8 luggage tags, instead of the 5 that they would have sent (one for each of us). Sadly only 5 arrived in the mail today! I called Magical Express though and they assured me that they would send out another 5! It may sound a little crazy that we are going to be checking more than 5 bags but when you are traveling to Walt Disney World with a 4, 2, and 6 month old, trust me, it is completely necessary! I am hoping to only check 6 but it may be as much as 8! We will talk more about packing in future posts as I am not there yet in my own planning! The luggage tags that I am speaking of are the long yellow sticker ones that are reminiscent of the ones the airline attaches to your checked baggage. These are how Disney knows what bags to pick up at baggage claim and magically deliver at your room in your resort! We always choose to fly South West. For us, living in Connecticut, and especially with gas prices approaching $5 in some parts of the state, it is always more economical to fly down to Florida. This year is a little steep since we are paying for 4 tickets when in the past B was under 2 and we only had to purchase 3! Thankfully this year and next year M still flies free! We like South West for their competitive ticket pricing, open seating, and most of all, each ticketed person can check 2 bags, free of charge. That is huge for us since we check at least 6 bags! When people ask me whether or not to stay on Walt Disney World property, I tell them to stay in The World. In my opinion, it is completely worth it to be a part of the magic 24/7 for the length of your stay, rather than having to leave Disney World each night and return in the morning. There are also other benefits to staying in Disney World. You get to utilize Extra Magic Hours which allow Disney Resort guests to stay in the parks 1 hour before official opening time and up to 3 hours after official closing time. Which park opens early or stays open late varies according to the day of the week. You also get to use Disney’s Magical Express which is a service that takes you by Motor Coach from Orlando International Airport to your resort, and then back again at the end of your stay. Disney also has many means of transportation to get you from your resort to the parks. They have busses, boats, and monorails ready to whisk you to whatever park you are visiting at any given time. Again, I am not getting paid by anyone to tell you this, I truly believe that staying in Disney World is the way to go! That being said, Disney has 3 “classes” of hotels, and even a campground. You have your Value resorts, your Moderate resorts, and Deluxe resorts. You can also stay in a Deluxe Villa at the deluxe resorts. Disney’s campground is Fort Wilderness Resort. Value resorts include All Star Movies Resort, All Star Music Resort, All Star Sports Resort, Pop Century Resort, and the Art of Animation Resort is scheduled to open in summer of 2012. Disney’s moderate resorts include The Cabins at Fort Wilderness, Caribbean Beach Resort, Coronado Springs Resort, Port Orleans French Quarter Resort, and Port Orleans Riverside Resort. Deluxe Resorts are Animal Kingdom Lodge, Beach Club Resort, Boardwalk Inn, Contemporary Resort, Grand Floridian Resort and Spa, Polynesian Resort, Wilderness Lodge, and Yacht Club Resort. Disney’s Deluxe Villa resorts are Animal Kingdom Villas Jambo House, Animal Kingdom Villas Kidani Village, Bay Lake Tower at Contemporary Resort, Beach Club Villas, Boardwalk Villas, Old Key West Resort, Saratoga Springs Resort and Spa, and The Villas at Wilderness Lodge. Wow! As you can see Disney gives you many an option! There is really a hotel to fit everyone’s budget. Resort types vary in price, the campground being the least followed by value, moderate, deluxe, and finally deluxe villas; room size, and overall theme and quality. All Disney hotels are some of the best in the business but as with everything else in life, you get what you pay for, and the highest price will buy you the highest quality hotel. I personally have never stayed in a value resort. When I was just earning my ears as a child, there was no such thing as “value” resorts in Disney World. There are what are now called the moderate resorts, and deluxe resorts. I have stayed in moderate and deluxe resorts, and I can tell you that even though moderate resorts are more than adequate you are definitely getting something special by staying at a deluxe resort, and if you can afford it, it is worth the extra money. This year we are staying at the Wilderness Lodge. It will be my 4th stay there and even though I love, love, love it there I really long to stay in a resort with a monorail. Having small children in strollers this would be ideal, because it can be a bit of a pain getting on and off busses and boats with 3 children and strollers which you must fold up every time you board. On the monorail you can just roll your child right on while he is still in the stroller! The utmost in convenience! The Contemporary, Grand Floridian, and Polynesian all are serviced by the monorail. I would have loved to stay at one of these resorts this year but unfortunately we’re just not there yet financially. The Wilderness Lodge is the least expensive of the deluxe resorts and that’s about as high as we can afford to go for now. One thing I do love about the Wilderness Lodge is that it is one big building. So you never have far to go to get to your resort restaurants, pool, front desk, gift shop, or whatever else you may need in your hotel. If I were going to stay at a resort with a monorail I would stay at the Contemporary which is one big building as well. We will get there someday hopefully sooner rather than later! The last thing I will discuss tonight is ticket options! We like to book everything all together. This is called a Magic Your Way vacation package. This will include lodging for the length of your stay, tickets to the parks, and a Dining Plan if you choose to use one. You can also book room only, or room and tickets only. We always book through Walt Disney World. I just feel like I have peace of mind in doing it this way that I know Disney is going to take care of everything for me in that famous way that they do! I always book my vacations by calling Disney directly rather then doing it online. You never know what discounts you may find out about from a cast member (Disney employee) on the phone that you wouldn’t have otherwise known about. This year we found out that we had a free dining pin only when we called! Free dining pins are something that Disney gives out to select people that they have in their system. These people seem to be chosen at random, it is not quite clear how they are selected, but you have to have your name in their system to get one! If you don’t think Disney has your name, then go to their website and request a free vacation planning dvd. This will ensure that your name is in Disney’s system and maybe you too will receive the coveted free dining pin or other discounts! Our vacation is 9 days in all, 2 are travel days, so we will be there 7 full days. We purchased a Magic Your Way Package Plus Dining. (Really we only purchased a Magic Your Way Package because the dining was free!) With that we opted for 6 day park hopper passes plus water park fun and more. That leaves us one extra day to swim in our hotel pool and head to Downtown Disney. With this option we can go to more than one park on any given day during our vacation which is essential for us because we go to one park in the morning and a different park at night after an afternoon rest in our hotel. 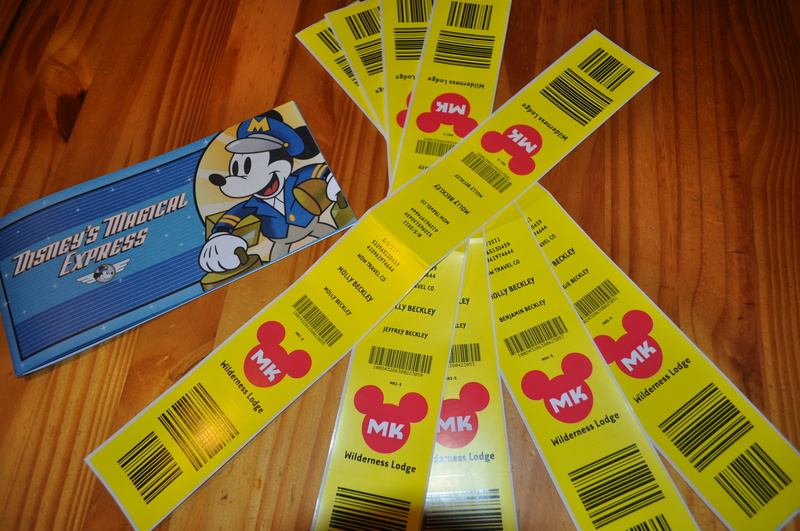 We also get admission to both water parks, and Disney Quest on any day with this option, all of which we will use. With our package we have the basic Dining Plan which includes one quick service meal, one table service meal, and one snack, per person over the age of 3 for the length of our stay. B will eat off of our plates since he is 2. J will have to choose off of the children’s menu along with all other children 9 and under. We will use our quick service meal for lunches, and our table service meal for dinners on most days. For breakfast we will just make a quick meal of granola bars or the like that I will keep in our hotel room. I will order these and other snacks and bottled water from Garden Grocer. (More on that in later posts!) With each table service meal we get a beverage, entree, and desert, and with each quick service meal, we get the same. J, being a child will also get an appetizer with his table service meals. Snacks can be things such as ice cream bars, fruit, bottled drinks, popcorn, and chips among other things. Most restaurants in The World participate with Disney’s Dining Plan. I am absolutely elated that we got it for free this year. Talk about win, win! Well folks it is again time for my head to hit the pillow. Stay tuned for more vacation planning coming your way soon. As always, go get yourself wrapped up in some pixie dust! I’m serious! Get! It seems that the first day of every year that the temperature is say, oh… above maybe 50 degrees, it hits. We get the itch. My husband says to me “Are we sure we’re not going this year?” And I say “… we discussed that it just wasn’t feasible this year” Then maybe a week will go by and we’ll be watching TV and one of those heart wrenching commercials will come on where the father opens up the pizza box, and there is a Mickey shaped pizza and a message that says “WE’RE GOING TO DISNEY!”. And I say to JB “Change the channel, I can’t even watch that, I’ll cry”. And so maybe another week goes by and the little voice inside my head says “You know you’ve been saving since you got home last August… you know… just in case… just make the call…” And so I pick up the phone and call… just to get a quote. And so it goes. We always somehow end up in Walt Disney World every August! What did it for us this year was when I called and was surprised to find out that we had a free dining pin! Thank you very much Disney, we’ll take it! We love Walt Disney World in the summer time. Yes, it is sweltering hot. 97 degrees on a good day. But somehow to me, that’s Disney World. It’s Florida, it’s tropical, it’s just how it’s supposed to be. We’re going to go, we’re going to get tan, we’re going to sweat, and we’re going to love every dripping minute of it. This being said, I know that not every one feels this way, and so first things first, when are you going to go? Maybe you have no choice but to go whenever your have vacation time from your job, or your kids from school, or maybe you have the freedom to go whenever you darn well please. In this case, there are a number of things to consider. Disney World is the least busiest directly after Thanksgiving to just before Christmas, the second week in November, September after Labor Day, all of October, January after New Year’s, and May. If crowds are an issue for you, than go during one of these times! These are all off season times, and crowds will be very light. Just be aware that the parks will open late and close early during these times of year. So even though the parks won’t be as crowded, you will have less time to see everything. Also, temperatures can vary greatly in the off season. Temps in the 40’s are not unlikely in Florida in the late fall, winter, and early spring time. 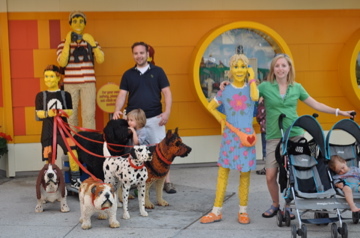 There are also special things that go on in Walt Disney World during certain times of the year, and maybe you want to go when they are going on. The Walt Disney World Marathon is the second weekend in January, Black History Month is celebrated in February, Epcot International Flower & Garden Festival is held between March and June, The Princess Half-Marathon is at the end of February, Gay Days are in early June, The Tom Joyner Family Reunion is on Labor Day weekend, the Night of Joy is the second weekend in September, the Epcot International Food and Wine Festival is held late September through early November, the Wine and Dine Half-Marathon is in early October, Mickey\’s Not So Scary Halloween Party is held for about the 24 days before Halloween, Halloween itself, and the night after, and finally, Mickey\’s Very Merry Christmas Party. Woo! There’s a lot to choose from! Once you know when you are going it is time to do a little homework. The absolute first thing you must do is go out right now and purchase the the Unofficial Guide to Walt Disney World. You can thank me later! This is my bible when planning my Walt Disney World Vacations. You must have it! You then must visit touringplans.com, which is the Unofficial Guide’s web site. You will think that I work for these people by how often I will reference them, but no, I will not benefit at all by telling you about them, but you will!! 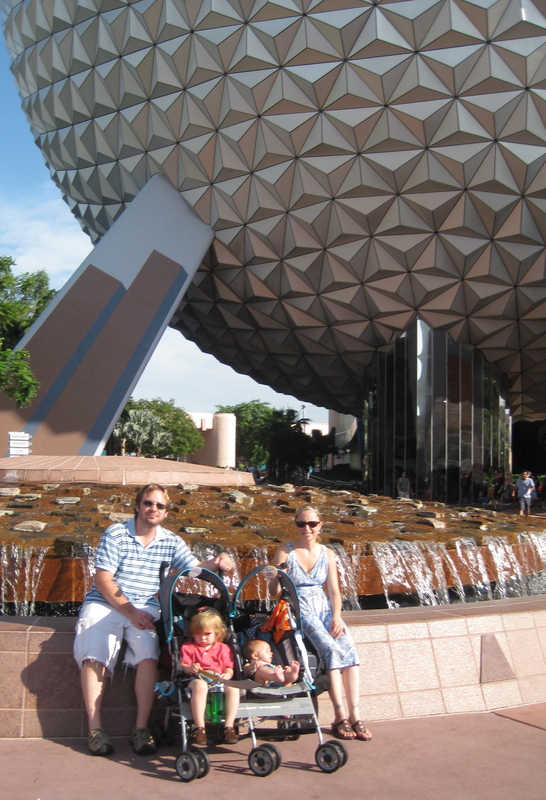 Next go to the Disney World website, and make sure you request the free vacation planning dvd! My other favorite Walt Disney World Vacation planning sites and blogs are, The Disney Driven Life, The Moms Panel, allears.net, themouseforless.com, MouseSavers, inner mouse, disboards.com, mouseworldradio.com, wdwinfo.com, wdwtoday.com, and The Disney Blog. Phew! Once you have done all your homework, you should decide how long you want to stay, where you want to stay, what kind of tickets or package you want to purchase, and how you want to get there! We always choose a 9 day vacation. Day one is arrival day. Days 2-7 are park days, day 8 is hotel pool/relaxing/packing/Downtown Disney day, and day 9 is the day I bawl my eyes out all day, aka departure day. To me, this is the ideal vacation. I know that everyone can not or may choose not to stay this long, or may choose to stay longer! This is really completely up to you and how much time and money you can allow yourself. Since it is time to allow myself to close my eyes and put my head on my pillow, I will leave you now with some time to click on all of the great sites I listed above, and in my next entry, we will discuss hotel and package options! Now go get yourself wrapped up in some pixie dust! Before You Go, You Have to Know! Walt Disney was said to describe Mickey as a “very clean mouse”. This is obviously a direct contradiction of what a mouse really is, in any place but Disney World. If this appeals to you, the idea of taking something that other wise might not be appealing, and making it so, then Disney World is for you. Walt looked at many of the carnivals and circuses of his day and wanted to create a place for families that was safer then these places he visited. Thank goodness he did! Walt Disney World is comprised of four theme parks; Magic Kingdom, Epcot (formerly EPCOT Center, EPCOT standing for Experimental Prototype Community of Tomorrow), Disney’s Hollywood Studios (formerly MGM Studios), and Disney’s Animal Kingdom, and two water parks; Disney’s Blizzard Beach, and Disney’s Typhoon Lagoon. Also on Disney property are Downtown Disney, Disney’s Boardwalk, ESPN Wide World of Sports Complex, 5 golf courses, and 23 themed hotels. To me, Walt Disney World is a utopia. It is a place that you can escape to, if only for one small vacation a year, where you are surrounded completely by a controlled environment that is seemingly nothing but happy and magical. Disney would control the weather if they could! (In fact, Walt actually wanted to do this in his original plans for EPCOT!) One of Walt’s great dreams was to create a utopian community. He came close with his visions for EPCOT, but unfortunately passed away before his vision was realized. The Walt Disney company tried also to do this, when creating the town of Celebration. But as far as vacations are concerned, in my opinion Disney World comes as close to perfect as you can get! As you can see, Walt Disney World has many things to do and see, and thus requires a large amount of planning which I will discuss in great detail in my next post. In the mean time I hope I have gotten you throughly as excited and intrigued about Walt Disney World as I am! I am so excited to be starting a Walt Disney World Vacation planning blog! I decided to start this blog to help not only you the reader, plan your perfect Walt Disney World vacation, but also to help myself keep all my planning in order! I am currently planning our family’s 3rd big Walt Disney World Resort vacation and I couldn’t be happier! 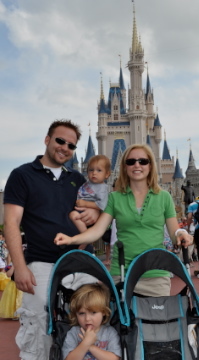 Here’s a little background on myself and Walt Disney World. I first visited when I was 3 years old and I am pretty sure that’s when I fell in love! Despite being only 3, I remember this trip vividly. We went in October and stayed at the Caribbean Beach which is one of Disney World’s moderate resorts. My mother woke me up two years later in October again and asked me if I’d rather go to school or Disney World that day. Of course I said Disney World and I embarked on my second Walt Disney World adventure! 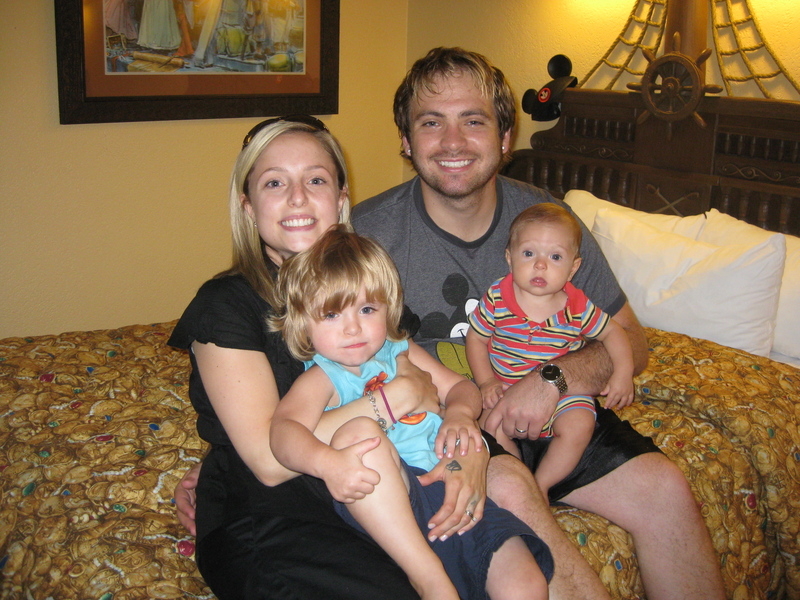 We stayed at Dixie Landings that vacation which is now Port Orleans Riverside. I remember so fondly the amazing surprise I got that morning. Our oldest knows we are going this summer but he doesn’t realize when. I can’t wait to wake him up the morning of and tell him that we will be on our way that day! My parents, brother and I went again when I was 7, in October staying at the Caribbean Beach again. I compare myself to my mother because she couldn’t seem to keep herself away The World, much like myself! When I was 11 years old I got to go twice! I went once with school, in April and once with my parents, in October staying at our home away from home, the Caribbean Beach again. The last time my parents took me, I was 13, and we stayed at the Wilderness Lodge in April once again which started my love for that resort! After that vacation I took a 7 year hiatus from The World which is quite frankly tragic! 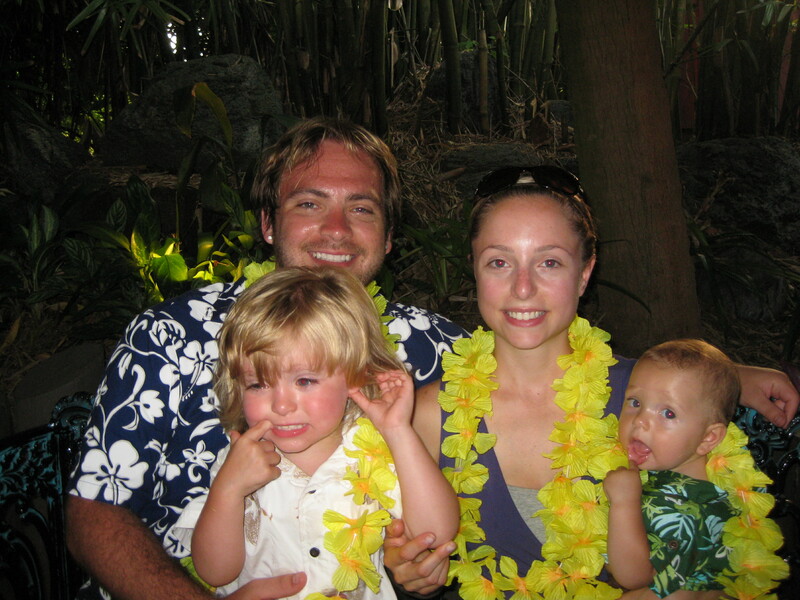 I drifted away from the magic a bit in my teenage years but was wrapped back up in it when my husband and I honeymooned in Walt Disney World in August of 2006 which would be my last time there without children! We stayed at the Wilderness Lodge that time. When my oldest J was about 18 months old, we visited my father at his home in Florida in December, and brought J to the Magic Kingdom for the day. It was then that we realized that we had to bring him on a Walt Disney World Vacation! 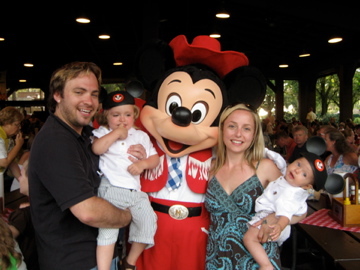 In August of 2009, after our son B was born, we took them on their first WDW trip, and we brought my mother along. We stayed at the Caribbean beach, in one of their pirate rooms because J loves pirates. He was 3, almost 4 years old and I believe this started the same love affair for him with WDW that started for me when I was just the same age. If you ask him now what he wants to be when he grows up he will answer proudly “an Imagineer“. I’m not so sure how many 4-year-olds even know this Disney term but he for sure does! If you ask him what an Imagineer does, he will tell you “well they are the ones who think up Disney’s magic of course”. 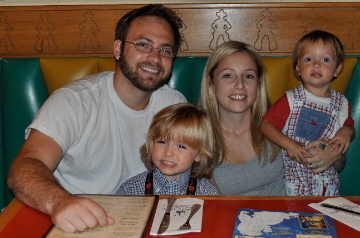 We brought J and B to visit my father in Florida in April of 2010 and went to the Magic Kingdom for the day again. We again were bitten by the Disney bug, and decided to take them back for another big trip that August. We stayed at the Wilderness Lodge again. (LOVE it there!) B was very aware of where he was this time, and now exclaims “It’s Disney World!” whenever he sees Cinderella Castle at the beginning of Disney movies, just as his older brother used to do! We now find it extremely hard to stay away from The World, and I am very pleased to say that we are going back this August! On August 5th we will be en route to Disney’s Wilderness Lodge again for little Miss M’s first time! I have a truly magical life and I am very lucky to be able to have Walt Disney World be such a big part of it! I consider it my duty to expose my children to this, the most magical place on earth! 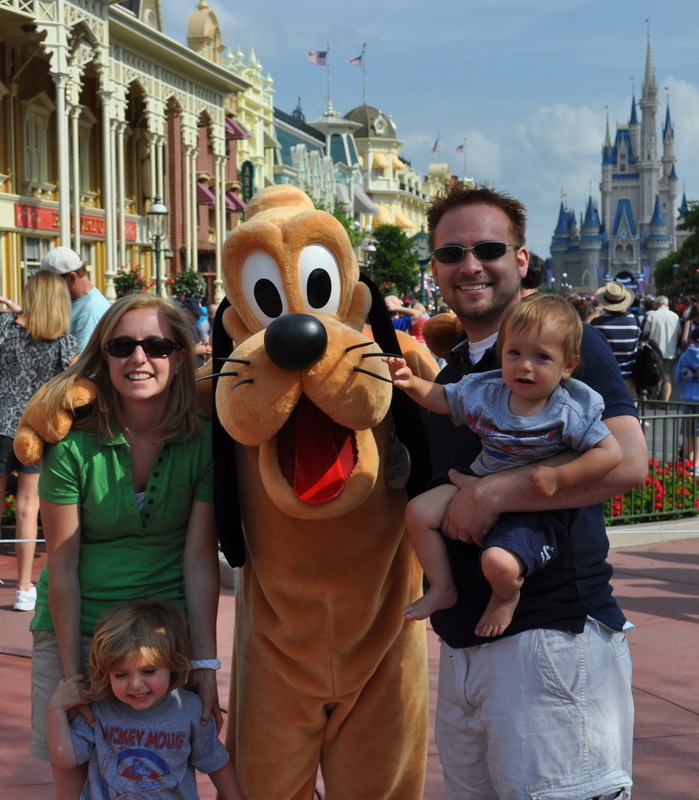 So join me as I embark on the journey of planning our family’s 3rd Walt Disney World Vacation. Stay tuned for Walt Disney World Vacation Planning 101! Welcome to The Real Disney Mom! Welcome to The Real Disney Mom! 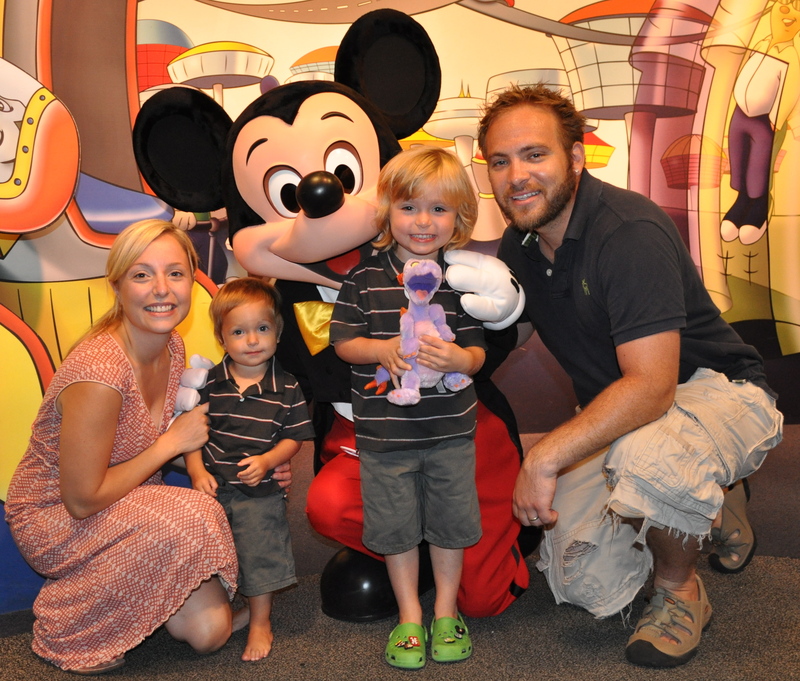 I am very excited to share with you every thing I do when I plan one of our family’s Walt Disney World vacations!